Oregon State University is pleased to host the 2017 ASCE/AISC National Student Steel Bridge Competition (NSSBC), May 26-27, 2017. 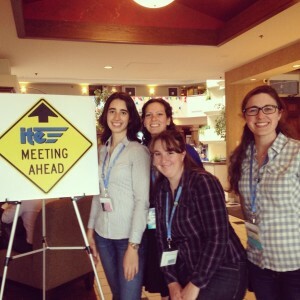 The event, which began in the 1980s as a competition between three universities, is a cooperative effort between the American Institute of Steel Construction (AISC) and the American Society of Civil Engineers (ASCE). In advance of the national event, 18 ASCE student chapters host conference competitions with approximately 200 schools from throughout North America participating. The top teams from the conference competitions advance to the national competition. At the NSSBC, student teams erect and test bridges that they have designed and fabricated to meet client specifications while optimizing performance and economy. Steel Bridge teams compete to be the best in aesthetics, lightness, stiffness, construction speed, construction economy, and structural efficiency. As the national host school, Oregon State students will lead the event planning and work with faculty advisors on fundraising, recruitment of judges, publicity, facilities and contracts, program, technical set-up, registration, and volunteer coordination. 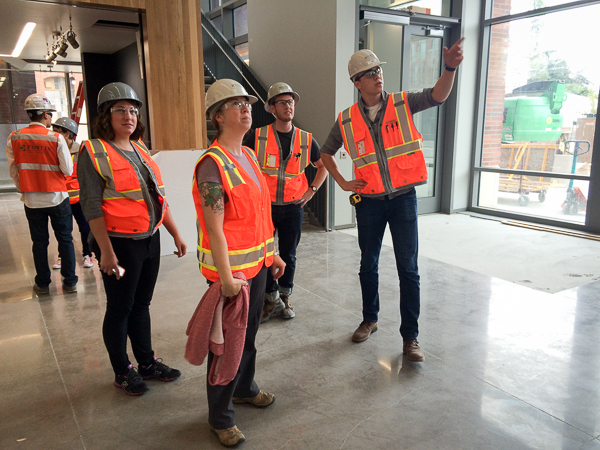 CEM student Will Mau leads a tour of the new Learning Innovation Center (LInC) building on campus. Mau served as a project engineering intern with the general contractor for the project. I chose Oregon State primarily because of the university’s excellent engineering program, but the beautiful campus atmosphere in Corvallis and ideal distance from my hometown of Eugene helped make OSU the perfect school for me. How did you choose the field of Construction Engineering Management (CEM)? I chose CEM with help from my advisor Katie Whitehead, and my introductory Fall Term General Engineering course that walks undecided engineering students through the many engineering programs that OSU offers. I had a strong interest in Civil and Construction engineering, and the blend of business, engineering, and project management that CEM provides is exactly what I was looking for. 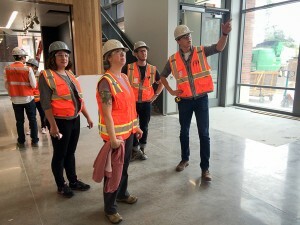 I worked this summer as a project engineering intern for Fortis Construction, a general contractor out of Portland that handles a lot of projects for OSU including the ILLC, Tebeau Hall, and most recently the Learning Innovation Center (LInC). This summer, I was involved in the closeout stages of the LInC building, a project that began the month I arrived on campus as a freshman and will be complete and open for classes this fall. What are you some of your future career goals? My future career goals are to become a project engineer involved in the construction of buildings in sectors such as higher education, healthcare and data centers. I plan to pursue a Master’s in Business Administration after getting experience in the industry, in order to one day become a project manager for large contracts like the LInC project that I had the opportunity to be involved in this summer. Any advice for incoming OSU students? My advice to incoming OSU students is: Don’t be afraid to explore your options when it comes to your major. I came to Corvallis knowing only that I wanted to be an engineer, but had no idea what kind. Use the resources the university provides and discover what you’re passionate about. Once you find the right fit, learning is no longer a task; it becomes a really enjoyable and engaging experience. A task force that studied implementation of the Oregon Resilience Plan submitted to the Oregon legislature an ambitious program to save lives, mitigate damage and prepare for a massive subduction zone earthquake and tsunami looming in the future of the Pacific Northwest. The recommendations of the Governor’s Task Force on Resilience Plan Implementation, if enacted, would result in spending more than $200 million every biennium in a long-term initiative. The program would touch everyone from energy providers and utility companies to their customers, parents and school children, businesses, builders, land use regulators, transportation planners and fire responders. It would become one of the most aggressive efforts in the nation to prepare for a costly, life-threatening disaster that’s seen as both catastrophic and inevitable. “We have a clear plan for what needs to be done, and now is the time to take our first significant steps forward,” said Scott Ashford, dean of the College of Engineering at Oregon State University, chair of the Governor’s Task Force, and an expert on liquefaction and earthquake engineering who has studied disasters all over the world, similar to those that Oregon will face. The task force making these recommendations included members of the Oregon legislature; advisers to Gov. Kitzhaber; private companies; the Oregon Office of Emergency Management; Oregon Department of Transportation; the Oregon Health Authority; city, county and business leaders; the Red Cross and others. The Oregon Resilience Plan, which was completed in early 2013, outlines more than 140 recommendations to reduce risk and improve recovery from a massive earthquake and tsunami that’s anticipated on the Cascadia Subduction Zone, similar to the one that hit Fukushima, Japan, in 2011. The newest analysis identified specific steps that are recommended for the 2015-17 biennium. They address not only earthquake damage, but also the special risks facing coastal residents from what is expected to be a major tsunami. One of the largest single steps would be biennial funding of $200 million or more for the OBDD/IFA Seismic Rehabilitation Grant Program, with similar or higher levels of funding in the future. Funds could be used to rehabilitate existing public structures such as schools to improve their seismic safety; demolish unsafe structures; or replace facilities that must be moved out of a tsunami inundation zone. 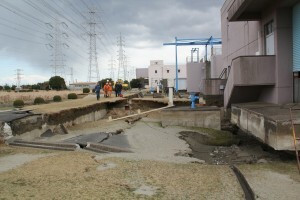 It was recommended that additional revenue be identified to complete work within a decade on the most critical roads and bridges that form “backbone” transportation routes; that the state Department of Geology and Mineral Industries receive $20 million to update inventory and evaluate critical facilities; and that $5 million be made available through existing programs for tsunami resilience planning by coastal communities. Utility companies regulated by the Oregon Public Utility Commission would also be required to conduct seismic assessments of their facilities, and be allowed through rate increases to recover their costs if they make prudent investments to mitigate vulnerabilities. “When I studied areas that had been hard-hit by earthquakes in Chile, New Zealand and Japan, it became apparent that money spent to prepare for and minimize damage from the earthquake was hugely cost-effective,” Ashford said. Require firefighting agencies, water providers and emergency management officials to create joint standards to use in a firefighting response to a large seismic event. For the first time in 67 years, the Western and Midwestern Districts of the Institute of Transportation Engineers jointly held their annual meetings as the groups met in Rapid City, South Dakota, June 29 – July 2. This year, OSU sent four students leaders from the campus chapter to the conference; Rachel Vogt (President), Jennifer Warner, (Vice President) Andrea Mathers, (Secretary), and Sarah McCrea (Treasurer). All participated in the annual Western District Student Traffic Bowl competition, a jeopardy style game, as Sarah and Andrea were also invited to participate in the Joint Professional Traffic Bowl. Additionally, there was a student poster competition as Sarah presented a poster on “Information Signage.” One highlight from the trip was the chance to visit Mt. Rushmore and watch the lighting ceremony. Overall, the students learned valuable lessons and skills from the technical session and had a great time meeting and talking with professionals from across the country. The meeting provided an opportunity for a robust and diverse technical program, vendor exhibit and opportunity to network with transportation professionals. During the four days, participants had to opportunity to attend 13.5 hours of technical sessions and transportation presentations. For more information about ITE, visit the national organization’s website. Annika O’Dea, a coastal and ocean engineering graduate student in the Oregon State University School of Civil and Construction Engineering, has been awarded the prestigious Fulbright scholarship, the Council for International Exchange of Scholars announced earlier this month. O’Dea, who will graduate from OSU with a master’s degree in civil engineering, will use the award to travel to Senegal and research coastal evolution and coastal hazards in the region. O’Dea’s research, which starts in October and is funded for one year, will look at how the coast has changed in recent years and predict how future changes in sea-levels could impact the area. She learned she received the prominent award in late April as it was the culmination of a lengthy application process. Working with the OSU Fulbright Scholar Program and advisors Laurence Becker (associate professor, Geosciences) and Nick Fleury (head advisor, International Degrees), O’Dea submitted her application to OSU for review in September before submitting to the national organization in October. While at OSU, O’Dea has worked with OSU CCE associate professor Merrick Haller on the nearshore impact of wave energy extraction and will present her thesis in a few weeks. The Fulbright Program is sponsored by the U.S. Department of State’s Bureau of Educational and Cultural Affairs and awards approximately 8,000 grants annually. Since its inception in 1946, approximately 310,000 “Fulbrighters” have participated in the program. Posted in Awards, Education, Graduate Studies. The O.H. Hinsdale Wave Research Laboratory hosted a hands-on design challenge for approximately 1000 Oregonian students this past week in the Tsunami Structure Challenge (TSC). 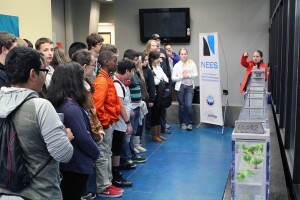 The activity, led by education and outreach coordinator Alicia Lyman-Holt, was comprised of a presentation which set-up the “design” challenge, a design and build phase where groups of four students built structures out of available materials and concluded with a test phase where structures were subjected to tsunami conditions at the wave laboratory. Following the testing phase, Lyman-Holt gave students a tour of the research facility, introducing students to lab equipment as well as teaching them about the importance of ongoing tsunami and wave research. The TSC was designed around the engineering goals in the STEM standards for Oregon at the 8th-grade level, which encompassed the largest number of participants in the challenge. For more information about the O.H. Hinsdale Wave Research Laboratory, or to schedule a tour, contact Alicia Lyman-Holt.